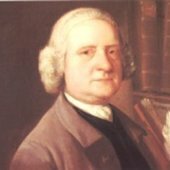 Lodovico Giustini, composer and keyboard player, was born on this day in 1685 in Pistoia in Tuscany. Giustini is the first composer known to write music for the piano and his compositions are considered to be late Baroque and early Classical in style. Giustini was born in the same year as Bach, Scarlatti and Handel. His father, Francesco Giustini, was a church organist, his uncle, Domenico Giustini, was a composer of sacred music and his great uncle, Francesco Giustini, sang in the Cathedral choir for 50 years. After the death of his father in 1725, Giustini took his place as organist at the Congregazione dello Spirito Santo in Pistoia, where he began to compose sacred music, mostly cantatas and oratorios. In 1728 he collaborated with Giovanni Carlo Maria Clari on a set of Lamentations, which were performed later that year. In 1734 he was hired as the organist at the Basilica of Santa Maria dell’Umiltà in Pistoia. He was to hold this position for the rest of his life. In addition to playing the organ he also gave performances on the harpsichord, often playing his own music. Giustini is mainly remembered for his collection of 12 Sonate da cimbalo di piano e forte detto volgarmente di martelletti, 12 sonatas written for the piano. These were composed by Giustini specifically for the hammered harpsichord, or fortepiano, which had been invented by Bartolomeo Cristofori in around 1700. The sonatas were published in Florence in 1732 and are dedicated to the younger brother of the King of Portugal, probably because the Portuguese court was one of the few places where the early piano was being regularly played. They were written for the church and have alternating fast and slow sections. They predate all other music specifically written for the piano by about 30 years. Giustini uses all the capabilities of the piano in his music, effects that were not available on other keyboard instruments at the time. They are typical of pieces written during the transition from the late Baroque to the early Classical period. 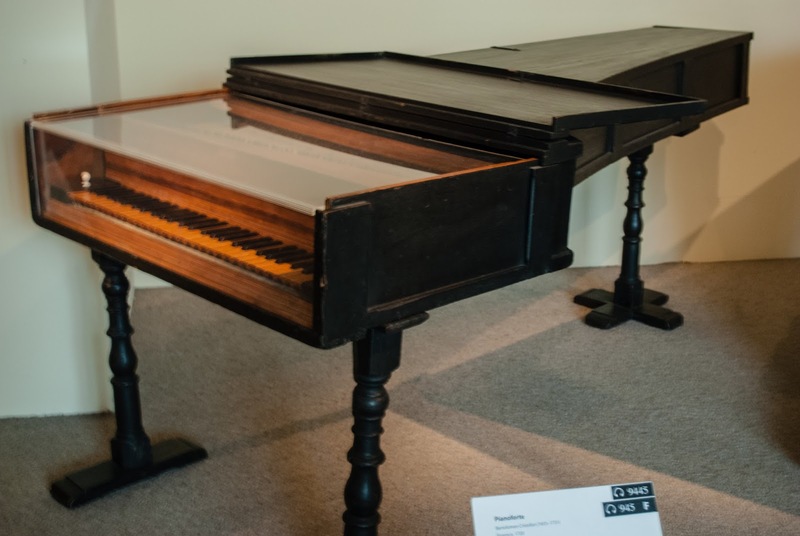 It is considered surprising by some music experts that the sonatas were ever published at all as, at the time they were composed, there were only a few pianos in existence and these were owned mainly by royalty. The oldest surviving Cristofori piano is a 1720 model, which is in the Metropolitan Museum of Art in New York. Giustini died in 1743 and since then most of his sacred music has been lost, but his published piano sonatas have kept his memory alive and are well worth hearing. Pistoia, where Lodovico Giustini was born and worked as an organist, is a pretty medieval walled city in Tuscany to the north west of Florence. The city developed a reputation for intrigue in the 13th century and assassinations in the narrow alleyways were common, using a tiny dagger called the pistole, made by the city’s ironworkers, who also specialised in manufacturing surgical instruments. The Basilica della Madonna dell’Umiltà, where Lodovico Giustini played the organ in the 18th century, is in Via della Madonna in Pistoia. 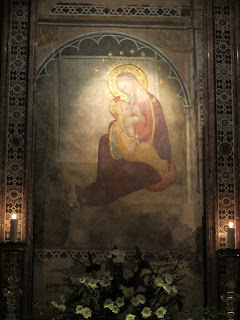 It was built to replace an ancient church after a miracle involving a 14th century fresco of the Madonna. 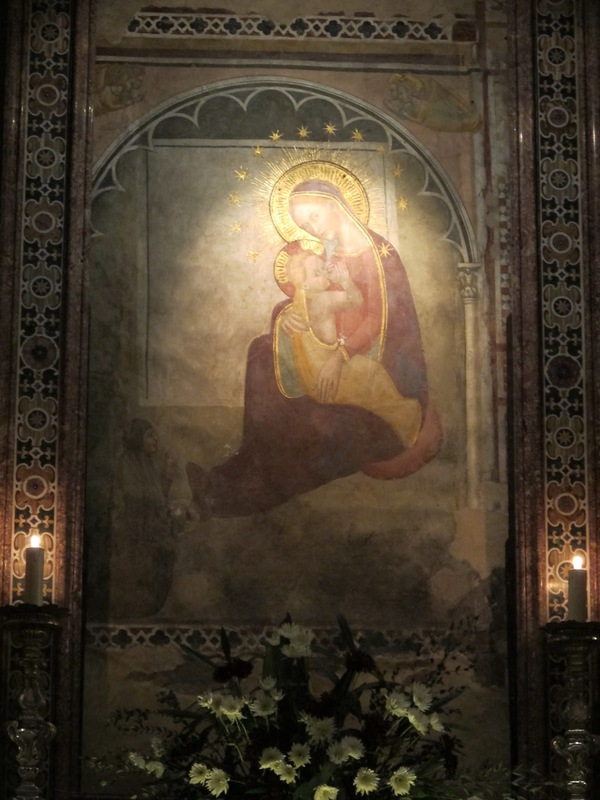 According to legend, in 1490 in the middle of a period of fighting between the local power factions, people noticed blood dripping from the forehead of the Madonna in the fresco, which was interpreted as a sign that the Virgin Mary was suffering because of the bloodshed in the region at the time. Important local families got together to build a new Basilica to house the Madonna fresco. The octagonal church was designed by architect Ventura Vitoni. 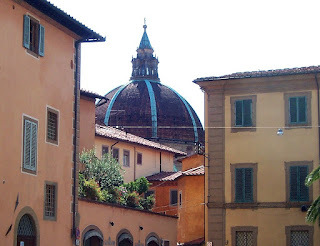 A heavy dome was added to the Basilica in 1560, designed by architect Giorgio Vasari.